He was second Governor of Bank Negara Malaysia, he was seen driving up to the banking world is emerging with a strong concept and respected in the world. 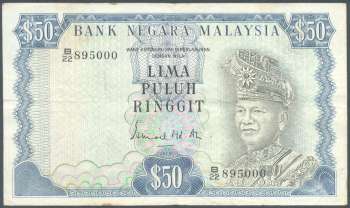 He became a member of Malaysia 's most prominent banks, the governor of the Central Bank from June 1962 to July 1980, a new record as the governor of the central bank 's longest-serving in Asia. 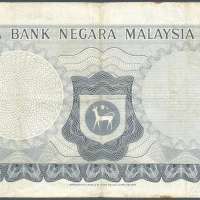 Main colour is blue and was introduced in 1981.